Denali - "The Great One"
Denali is North America’s tallest mountain. 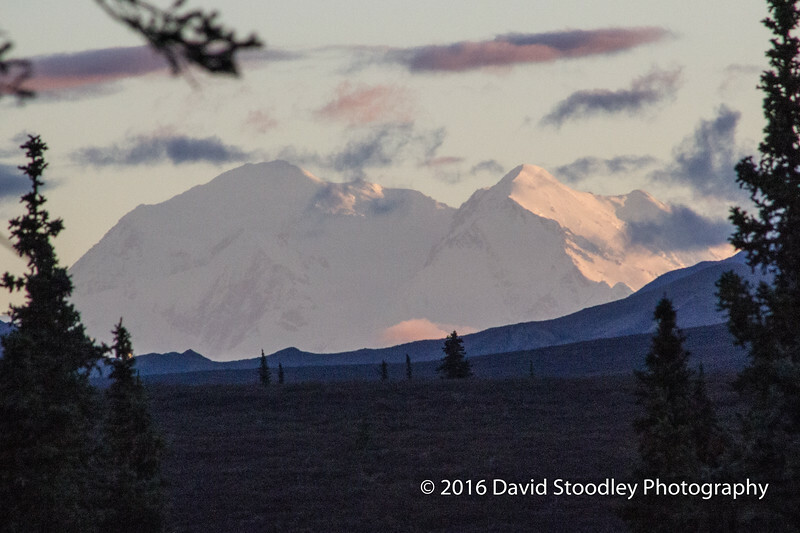 This photo was made from Savage River campground in Denali National Park at a distance of over 80 miles. The south peak, on the left, rises to 20,310 feet. The north peak, on the right, is a little more than 1,900 feet shorter. The two peaks are two miles apart.